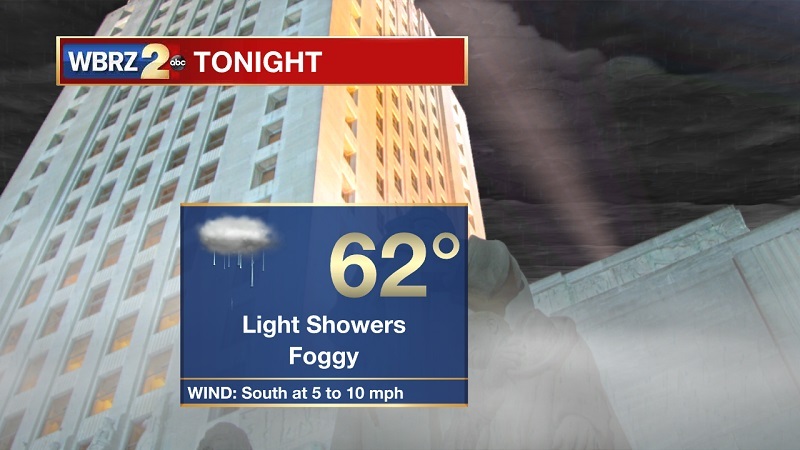 Tonight and Tomorrow: Another dreary night ahead, as light showers linger overnight. Temperatures will be warming into Monday morning, reaching a low of 65° shortly after midnight. Winds will stay between 5 and 10 mph out of the south, efficiently bringing warmer air ahead of the system that will bring storms through our area on Monday. The Storm Prediction Center has placed Baton Rouge and areas north and east in the marginal category for severe storms on Monday, which is a 1 out of 5 scale. The main threat will be gusty winds up ahead of the cold front, which is poised to begin travelling west to east across Louisiana around 9 AM. Widespread showers and storms will stay through into the early evening hours, but will depart by 7 PM. 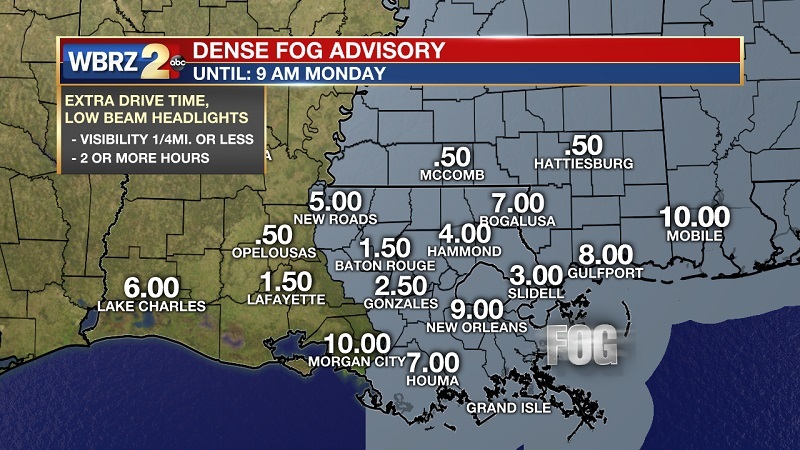 This will bring a brief dry period just in time of New Year’s Eve festivities. High temperatures will reach around 72°, with 10 to 15 mph winds shifting from the south to west during the afternoon. 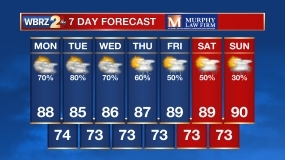 Up Next: Showers and storms return Wednesday and early Thursday, before drier and sunny conditions move in through the first weekend of 2019. 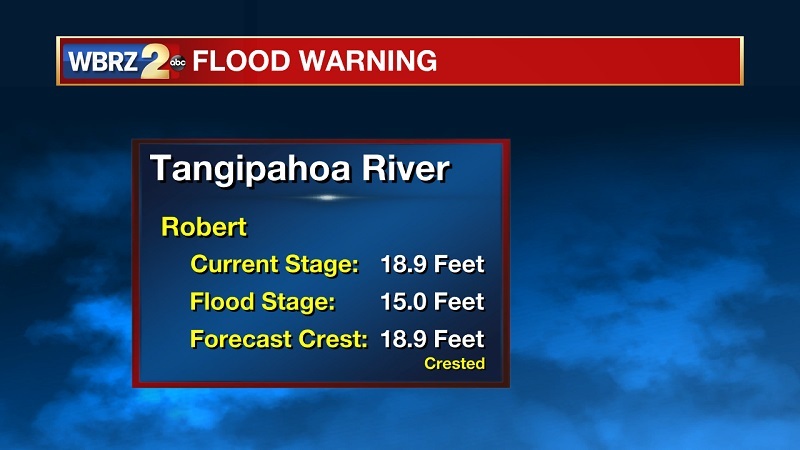 Still a couple flood warnings in effect, but most river levels should be back below flood stage over the next 24 to 48 hours. 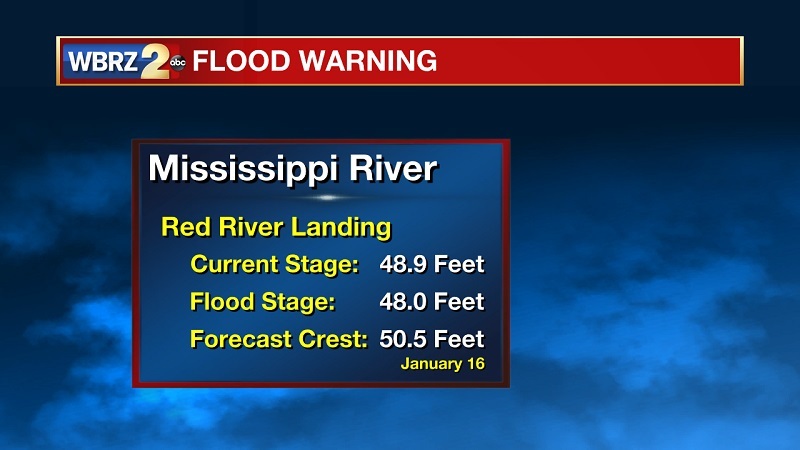 The only exception is the Mississippi River at Red River Landing, which will be cresting on January 16that 50.5 feet. Two back-to-back systems will be moving through around the New Year’s holiday, but luckily the timing will allow for conditions to dry by 7 PM on New Year’s Eve. 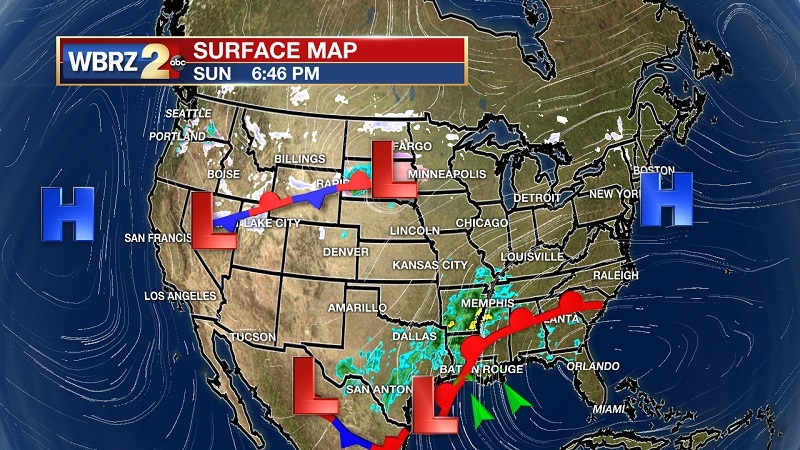 The second system is set to move through on Wednesday, with pre-frontal showers initiating late Tuesday. High temperatures will be dropping into the mid-60s on Tuesday, and into the low 50s by Thursday. High pressure is following the system closely, with drying conditions and clearing skies through the day on Thursday. High pressure stays into the weekend, allowing for sunny skies with high temperatures warming back into the mid to upper 60s by Sunday.